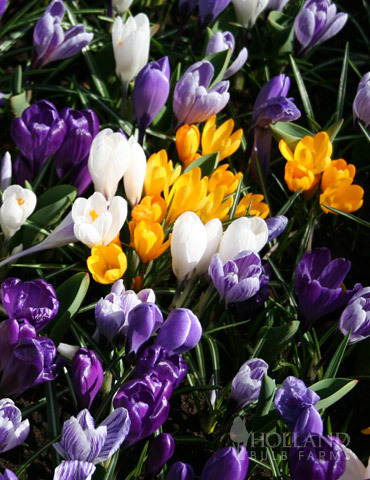 This charming mix of Crocus is perfect for a natural look in your garden or lawn. This package of Giant Mixed Crocus will create a mosaic of whites, purple/blue, and yellows, which is great for mass plantings, ground cover, under trees and borders. Varying in height and bloomtime, this collection of Crocus will extend the bloom-time of your garden in the early spring, return year after year and multiply! Purchase this Value Bag today and receive more bulbs for your money! Excellent price for a great product!